It’s a self-applied nickname, but that doesn’t make it any less fitting. 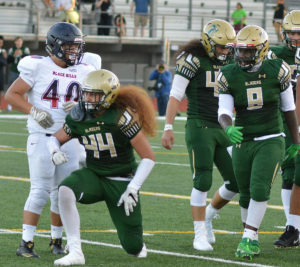 Timberline senior linebackers Tyrin Edmond, M.J. Montgomery and Mason Simeta are poised to make a big impact for the Blazers this football season. Athletic, fast and physical, the trio has been described by head coach Nick Mullen as the best group of linebackers he’s coached since his third season with the team. That was back in 2009 when the squad opened the year 10-0 and advanced to the state playoffs. 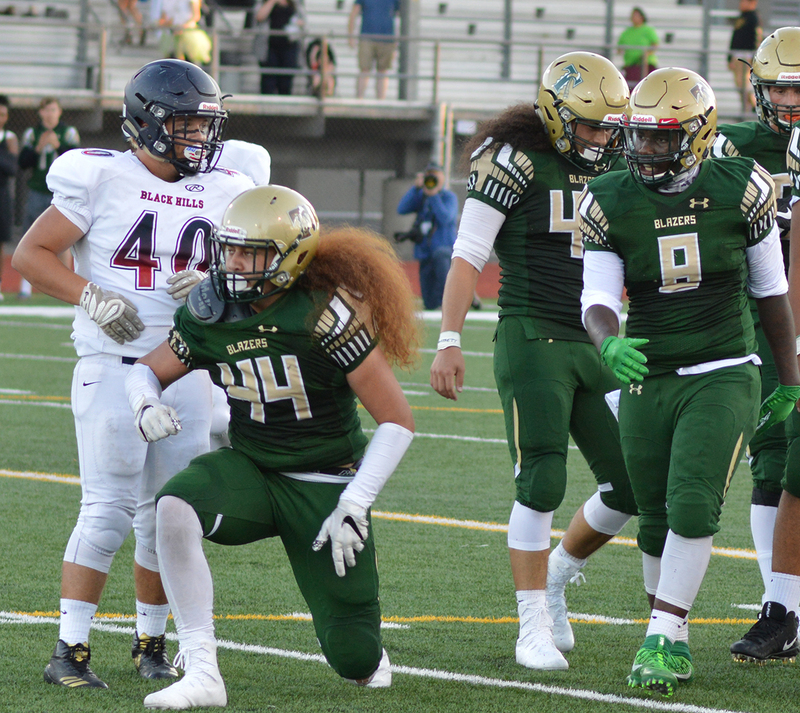 “They’re smart, they get after it, they understand where they fit in the defense and play off each other really well,” Mullen said. 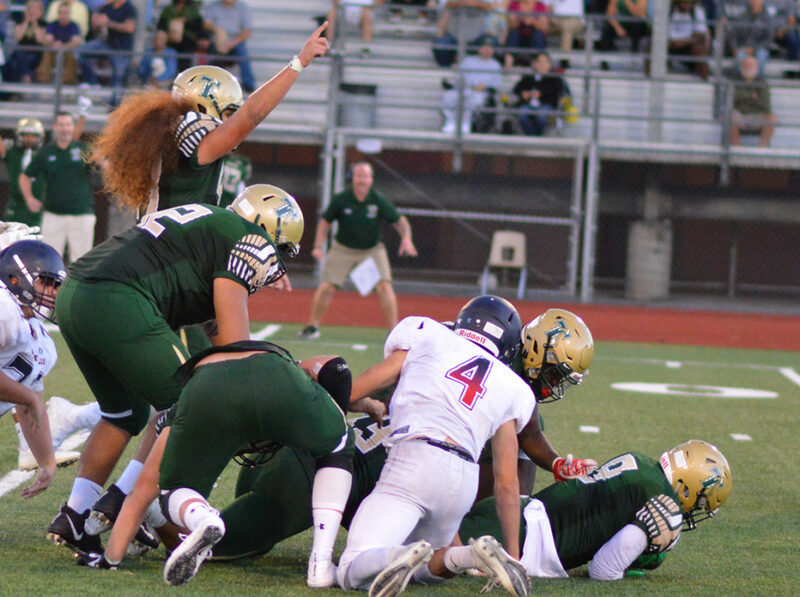 Timberline won the inaugural 3A South Sound Conference last year on the back of its defense, clinching the conference crown with a last-second goal line stand against Peninsula in the season finale. You don’t have to look much further than these linebackers to understand why the Blazers are favored to defend their conference crown. That was more than evident during Timberline’s season-opening 35-7 victory over Black Hills. Simeta and Montgomery were constantly around the football, making tackles, while Edmond was in on one big play after the other. 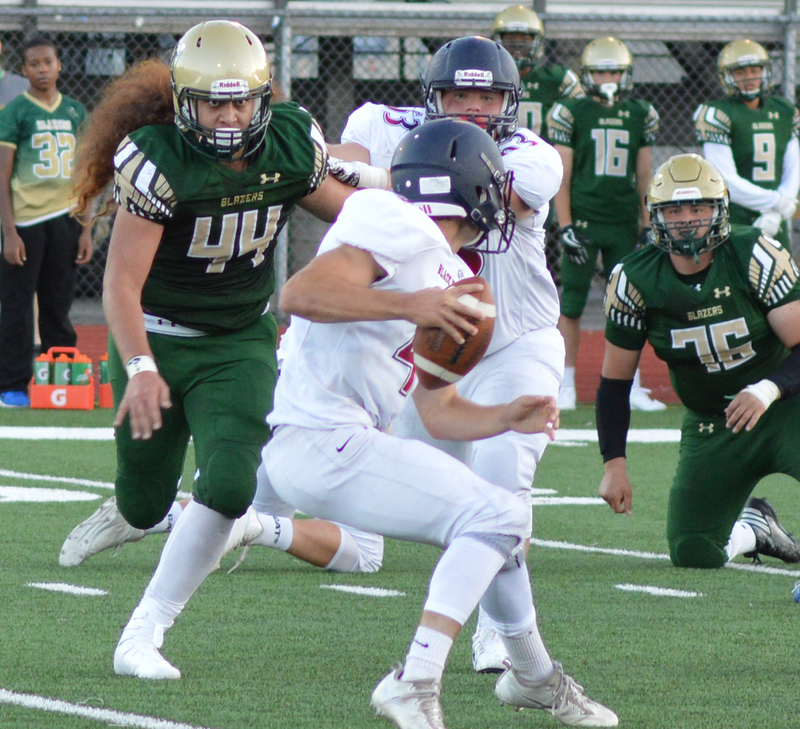 Edmond, a second-team all-conference pick last season, registered a sack on the Wolves’ first offensive series before returning an interception 45 yards for Timberline’s first touchdown of the year. If that wasn’t enough, he later forced a fumble. What made this even more impressive was the fact he did all of this before the teams even headed into the locker room for the half. Edmond, however, went in another direction about his big game. 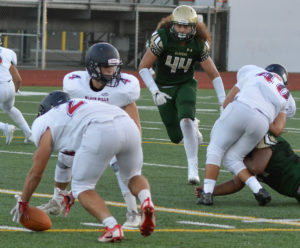 It’s actually the expected response from Edmond, who describes himself as the “calmest person on the team.” He knows, as the middle linebacker, it’s his job to not only make plays, but make sure Timberline’s high-energy defense stays level the entire game, and doesn’t get too high or low emotionally. Simeta’s role is quite different in those regards. With long hair that would make even Troy Polamalu envious, Simeta is free to fly around and cause havoc for the opposing offense. The trio has been together since Edmond and Montgomery first moved to Lacey in junior high – Edmond from Alabama and Montgomery, one of only two non-seniors to be named first-team all-SSC on defense in 2016, from Florida. The bond immediately was formed. Last season saw plenty of highs for the team, but how everything ultimately ended has stuck with the three players, providing them with motivation for this year. Timberline saw its 2016 campaign end in the first round of the 3A state playoffs, losing to two-time defending state champion Eastside Catholic, 39-21, in a game the Crusaders scored both a defensive and special teams touchdown and added two safeties. 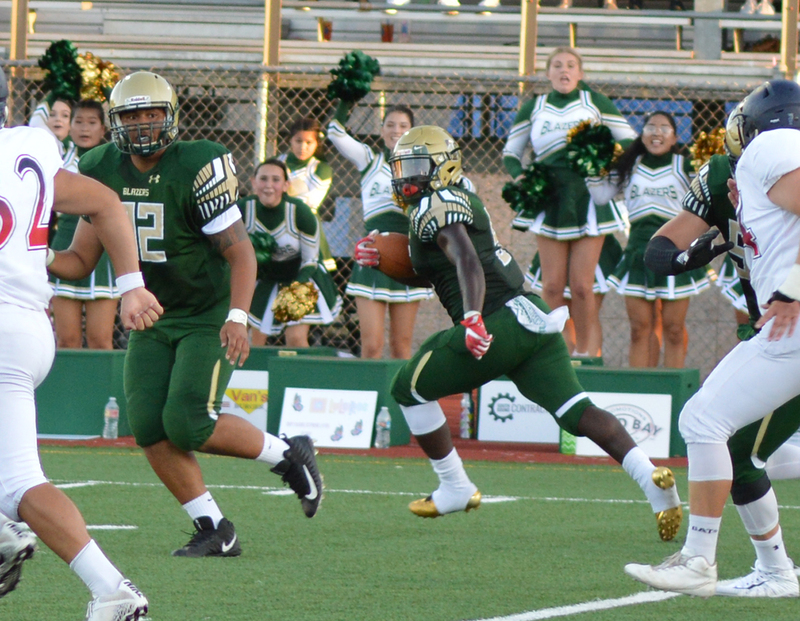 A dominating performance by the three in their season opener showed that to be the case.